Heat oven to 425°F. Spread 1 cup of the coconut in ungreased shallow pan. Bake 3 to 5 minutes, stirring occasionally, until golden brown. Place pan on cooling rack to cool completely. Meanwhile, in medium bowl, stir Bisquick mix, remaining 1/cup coconut, the sugar, milk and butter until soft dough forms. 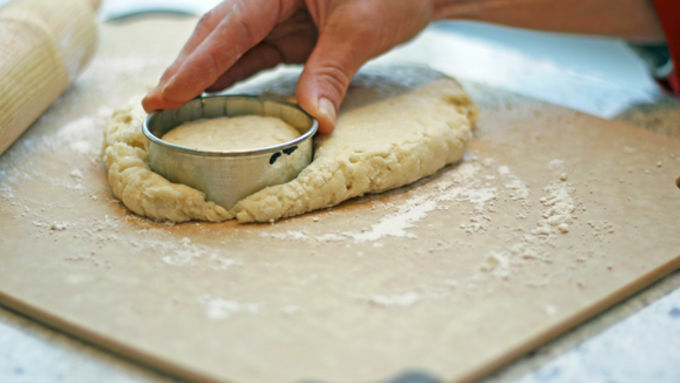 Place dough on work surface sprinkled with Bisquick™ mix; knead 8 to 10 times. Roll 1/2 inch thick. Using 3-inch round cookie cutter dipped into Bisquick™ mix, cut into 6 rounds. Place 2 inches apart on ungreased large cookie sheet. Bake 9 to 12 minutes or until golden brown. Meanwhile, in medium bowl, fold yogurt into whipped topping until well blended. 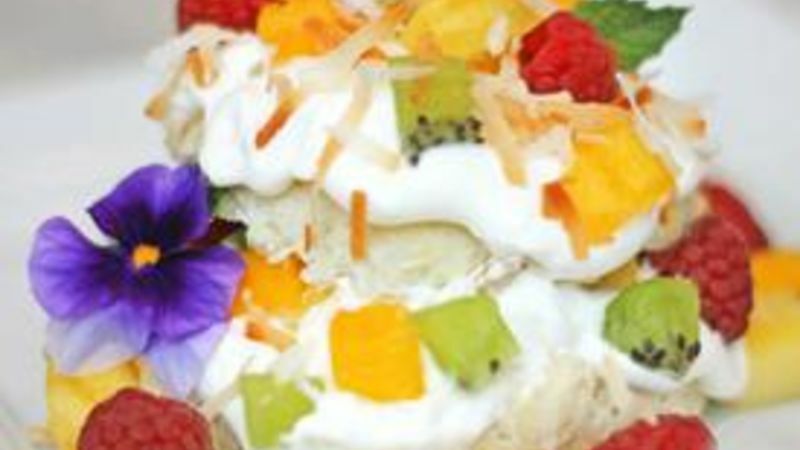 Split warm shortcakes; spoon whipped topping mixture and fruit on bottom of each shortcake. Top with shortcake top, remaining whipped topping and fruit. Sprinkle with toasted coconut. Garnish with edible flowers. Take a tropical retreat without leaving the house! Looking for a way to serve up breezy, island flavors at your next BBQ or luau? Then try these pretty Piña Colada Shortcake Stacks for an impressive dessert that’s not only easy to make but delicious too! For the fruit we used mango, pineapple, kiwi and raspberries, but feel free to use almost any tropical fruit and berry combination you want. A quick make-ahead tip is to cut and refrigerate the fruit up to 2 hours before assembling. 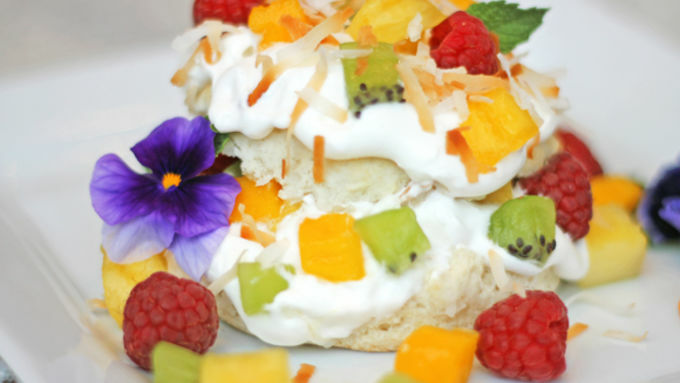 Even if that trip to the Caribbean isn’t in the cards this year, these fruity, floral treats will transport you to the tropics with just one bite!